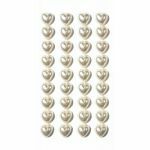 Self Adhesive 10mm wide lovely pearl hearts. 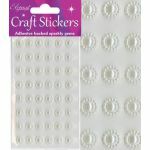 Each pack contains approximately 36 pieces. 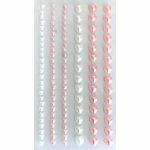 Pretty 6mm pearl hearts, ideal for wedding invitations and general crafting projects. Each pack contains 56 pieces. 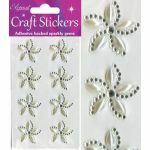 A pack of 8mm ivory pearl flat backed self adhesive embellishments. Each pack contains 48 pieces. 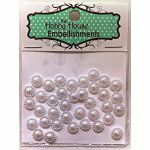 A pack of 27mm ivory pearl and diamante flat backed self adhesive embellishments. 8 pieces per pack. 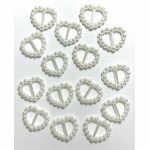 18mm ivory pearl flat backed bows. Each pack contains 25 pieces. 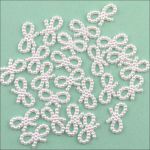 18mm white pearl flat backed bows. Each pack contains 25 pieces. 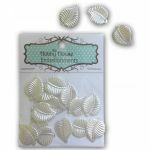 11mm ivory pearl flat backed circles. Each pack contains 30 pieces. 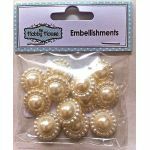 18mm ivory pearl flat backed circles. Each pack contains 12 pieces. 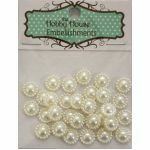 8mm ivory pearl flat backed circles. Each pack contains 35 pieces. 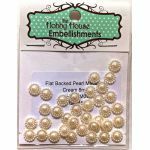 11mm white pearl flat backed circles. 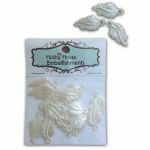 Each pack contains 30 pieces. 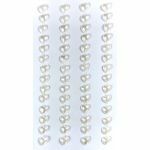 18mm white pearl flat backed circles. Each pack contains 12 pieces. 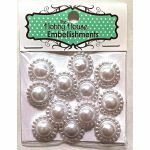 8mm white pearl flat backed circles. Each pack contains 35 pieces.